Whenever people hear the word franchise what comes first in their mind is ‘Food’. Almost every high-profile franchise concept is food related. According to a report, food business in India is growing rapidly. So, this will be one of the best business ideas for the people who are looking for establishing their own business. If you are looking for food franchise in Raipur then, Chaat Ka Chaska franchise in Raipur is the best business opportunity for you to invest in with low investment and high ROI. Why Chaat Ka Chaska Franchise in Raipur? Indian streets are well known for its cheap and tasty food items and every city has its own specialty of all time favorite snacks. 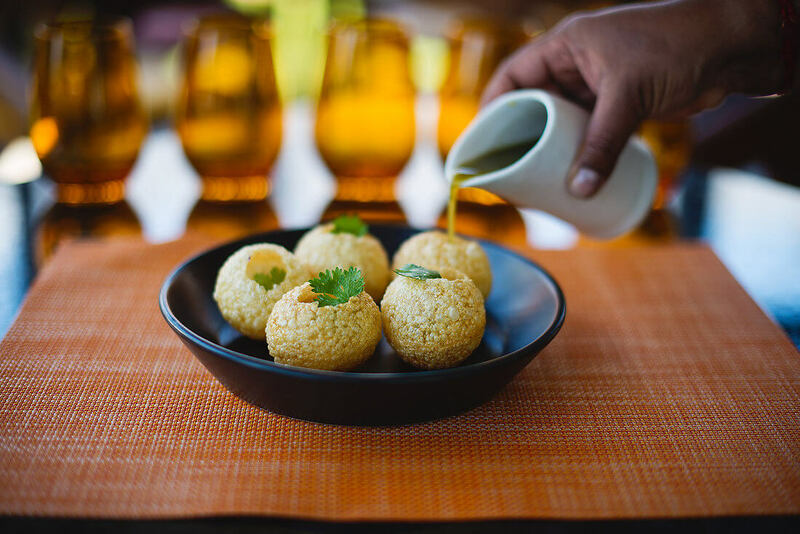 But, there are few street foods that are all time favorite for everyone no matter from which city they are and that is Chaat and Panipuri. Bringing the hygiene to the street food Chaat Ka Chaska brings the authentic tastes of Indian street foods especially Chaat and Golgappas under one roof. So, grab the opportunity to be the part of India’s leading brand in food business ‘Chaat Ka Chaska’ powered by Brewbakes. Our food franchise model ensures for assured high return on investment due to brand recognition and tremendous fan base. We are a reputed name in the food industry and our food franchise business is the best opportunity for courteous, passionate and customer-friendly aspirants who are looking for starting their own business in Raipur. Being the capital of the state Chhattisgarh, Raipur has several favorable areas and location for opening food store. You can pick up the best location for opening your restaurant in Raipur whether in a shopping mall, super market, etc. Raipur is a home to many professionals and students also who has settled in the city for betterment in life and career. You can turn these professionals and students and also the local residents into your customer. We provide you extensive franchise support, customer services, products, systems, manpower, marketing strategy, real time guidance and extensive training program to the team and staff so that you will run a successful food business in Raipur and can make money with minimum margins. If you are looking for opening your own business then, you would never find a better option than food business. The students can be the potential customer for you. There are many prestigious and renowned educational institutes and universities in Raipur which invites students from different part of the country. These students look for hangout places where they can sit, relax and spend time with their gangs. So, they can be the potential customers for you. With several favorable locations and areas, Raipur is the best place to start a new business. And the idea of establishing your own restaurant or food corner in Raipur will be fulfilled by ‘Chaat Ka Chaska’ franchise business opportunity powered by Brewbakes. So, if you want to establish your own business and be your own boss then, “Chaat Ka Chaska” food franchise is the best opportunity for you. Grab the opportunity to be one of India’s leading company in the industry and get remarkable franchise support and customer service.